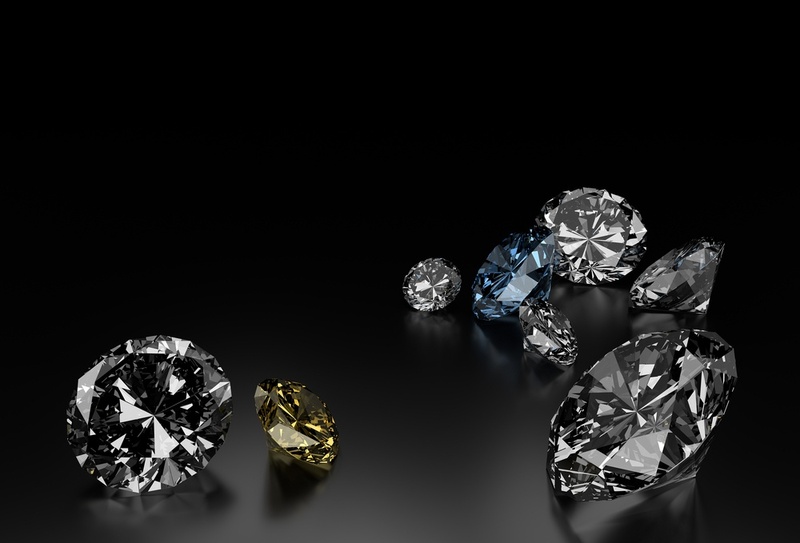 Diamonds are the rarest and most sought after gemstones in the world. Adorning crown jewels and locked away in private collections, the world’s largest diamonds represent the wealth of powerful kingdoms. Their value is so remarkable that it is nearly incalculable, and these shining treasures hide legacies within their many facets that date back centuries. The largest diamond celebrity engagement rings resemble mere chips when compared to the diamond collections hidden within the most exclusive vaults in the world. For royalty and for the wealthiest within high society, diamond carats may number in the hundreds…for a single stone. Diamonds denote fortune and power. To own one of the largest and rarest stones conveys the unspoken message of opulence, wealth, and supremacy. However, many of these incredible stones are often rarely worn. Even Kings and Queens only reveal their most remarkable and most prestigious jewels during coronations and formal dignitary receptions. Cut from a 3,106-carat rough diamond—which was discovered by Frederick Wells—there are actually nine larger Cullinan diamonds and all remain in the British royal collection. According to the Royal Order of Sartorial Splendor, legendary jeweler Joseph Asscher (who originated the Asscher cut) was given the task of cutting the diamond and “the first cut, according to many accounts, broke the blade instead of the diamond; the second cut cleaved the diamond in two, and Asscher promptly fainted.” Asscher succeeded in cutting nine different diamonds for the Crown. The largest of the collection are the Cullinan I and Cullinan II. Decorating the Sovereign’s Sceptre used in the Coronation Ceremonies, the Cullinan I is approximately 530.2 carats. 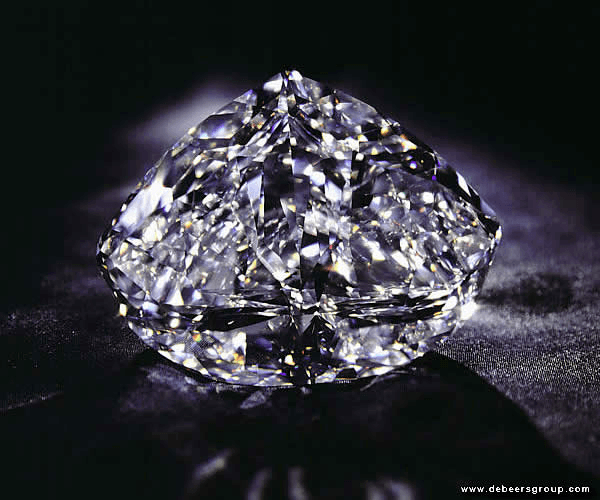 The smaller Cullinan II may be found within the Crown itself and is 317.4 carats. The entire Cullinan collection is estimated to be worth billions. Named for the Centenary Anniversary of DeBeers, the Centenary diamond was discovered in 1986 at the Premier Mine in Africa. The stone originally measured 599 carats but was cut to 273.85 carats. Beyond the stone’s remarkable carat size, the diamond’s flawless color makes it highly coveted. The Centenary diamond received a D color grade from the GIA. While the value of the diamond is debatable, DeBeers insured the modified heart-shaped brilliant stone for $100 million. The 890-carat stone was originally stumbled upon by a little girl…in a pile of rubble. 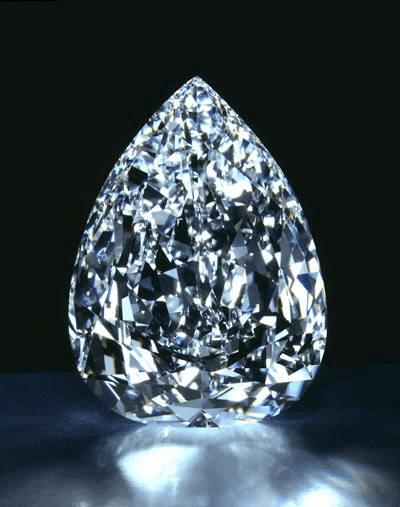 Fashioned in a trilliant-type cut, the finished stone totaled 407.78 carats (and also yielded a few additional separate stones). The Incomparable Diamond is graded by the Gemological Institute of America (GIA) as a Fancy Deep Brownish Yellow color and internally flawless. While it was once listed on eBay for around $15 million, no buyer ever purchased the diamond. Pear-shaped and totaling 203.04 carats, the Millennium Star is colorless (D) and internally flawless. When the stone was discovered, it measured 777 carats—the triple-seven weight was considered a lucky figure and a “good omen”—and was eventually cut into three stone with the largest stone becoming the Millennium Star. The stone was aptly named for the turn of the new millennium and traveled with several other rare diamonds as the Millennium Collection, which was owned by DeBeers. The Millennium Star is insured for about $160 million. The Iranian royal jewelry collection is vast, and the Noor-ol-Ain tiara’s namesake centerpiece stone is the crown jewel. The famous 60-carat oval pink Noor-ol-Ain (which means the “eye of light”) diamond is one of the largest pink diamonds in the world and hides a tumultuous history. According to the Order of Sartorial Splendor, the diamond was “thought to have been mined at the Golconda mines in India, it was part of the spoils taken by the conqueror Nader Shah as payment for retreating from his invasion and subsequent plundering of Delhi a few years after he became the Shah of Iran in 1736.” The Noor-ol-Ain eventually became part of the tiara. After the Islamic Revolution in 1979, the crown jewels became the property of the Iranian Central Bank and remain on display for the public. 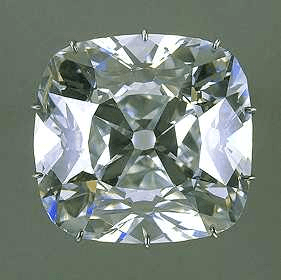 The cushion-cut, 140.64 carat Regent diamond currently holds court at the Louvre in Paris. The history of the diamond begins in 1698 when it was first discovered in Golconda, India. Thomas Pitt, governor of Fort St. George in Madras, became the stone’s first owner until it was purchased by the French Regency Council in 1717. The diamond was then worn by both King Louis XV and King Louis XVI. Eventually, the Regent became the property of Napoleon Bonaparte. The Regent is estimated to be worth 48 million pounds (or about $61 million). 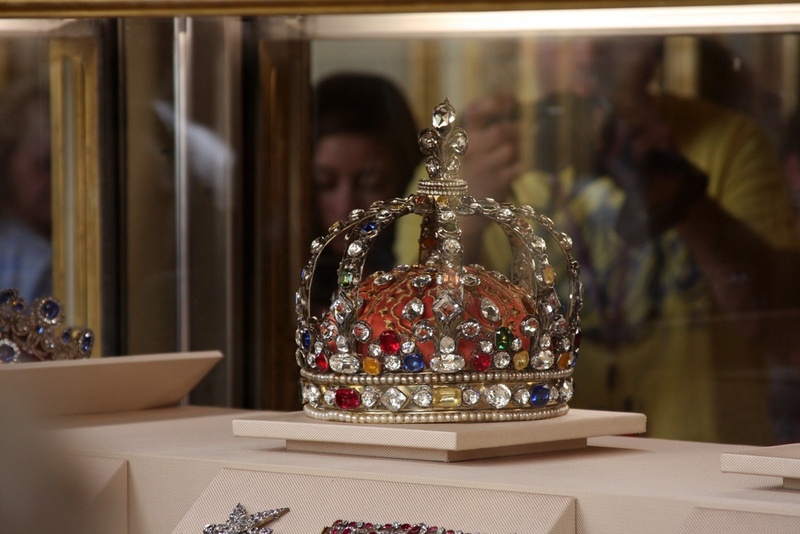 Another centerpiece stone for the British Crown, the Koh-i-Noor is about 800 years old. The 105.602 carat oval-cut diamond rests on the Queen Mother’s crown and came to the British royal collection during the reign of Queen Victoria. The Koh-i-Noor is one of the most valuable diamonds in the world and is estimated to be worth about $1 billion. For many Americans, the 45.52 Hope Diamond remains one of the most well known and valuable diamonds. The rare (and perhaps cursed!) blue diamond is worth more than $200 million and resides at the Smithsonian. 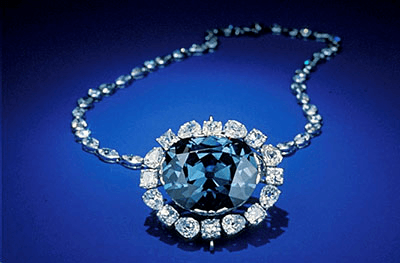 Once worn by royalty, the Hope Diamond was acquired by jeweler Harry Winston who donated the necklace to the museum. Since taking residence at the museum, the Hope diamond has been viewed by more than 100 million visitors. The world’s most amazing diamonds are often housed in private vaults accessible only to royal families or gifted to museums to have their beauty shared with the public. Whether they decorate scepters and crowns or sit illuminated under locked glass cases, these diamonds hide stories of history within their twinkling facets…and their stories hold centuries of Brilliance.